Home / BETADINE / BETADINE® GARGLE / BETADINE® THROAT SPRAY / Business / EN / Mundi Pharma / “Mundipharma” competes for shares in the throat and oral care product market, launching “Betadine® Throat Spray and Betadine® Gargle” with advantage of antiseptic, in hopes to achieve 20% market share within the first year. 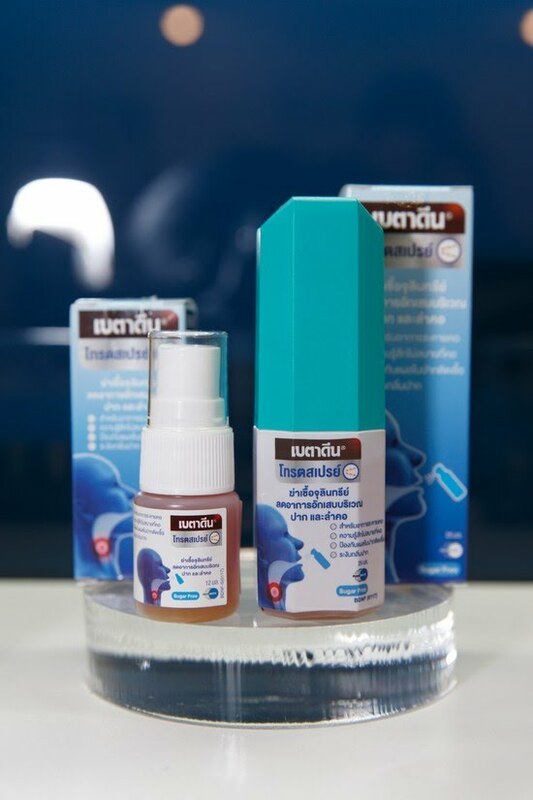 “Mundipharma” competes for shares in the throat and oral care product market, launching “Betadine® Throat Spray and Betadine® Gargle” with advantage of antiseptic, in hopes to achieve 20% market share within the first year. 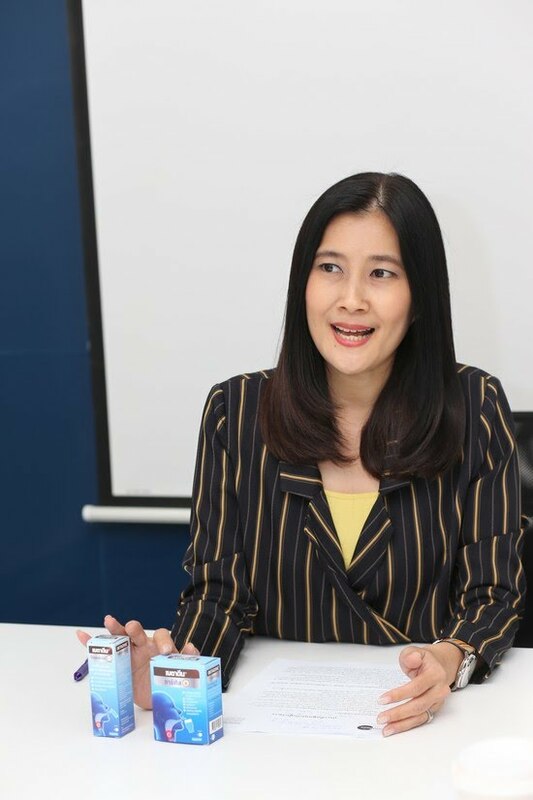 Mundi Pharma strengthens its status as the leader of antiseptic market, with new business strategies for Betadine, 70 million baht marketing budget, and 2 recently launched oral care products – “BETADINE® THROAT SPRAY” and “BETADINE® GARGLE,” targeting both adult and kids consumers . With a strong emphasis on every communication channel, the company expects to take 20% of market share in the first year. 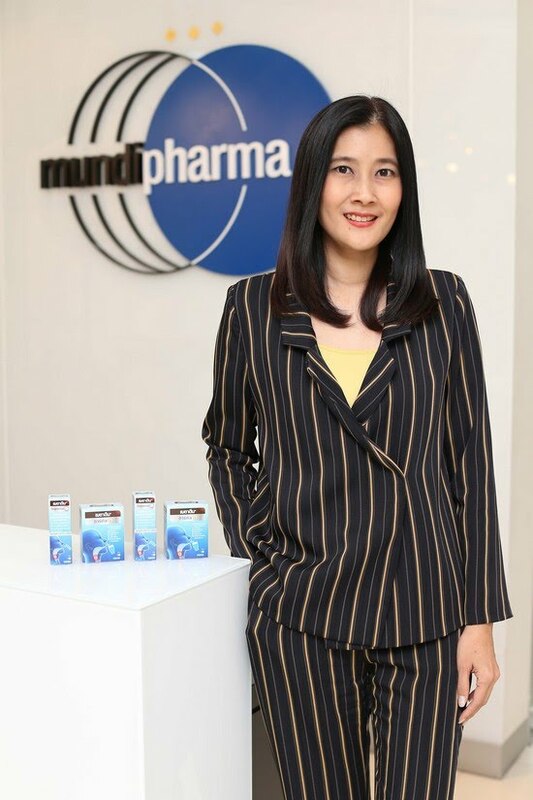 Mrs. Warawan Chantarasomboon, Associate Director, Consumer Business Unit, Mundipharma (Thailand), the manufacturer and distributor of Betadine, commented on the business overview of the market for throat and oral care products that this market has a high economic value in almost every country. In Thailand, this market is growing continuously every year. 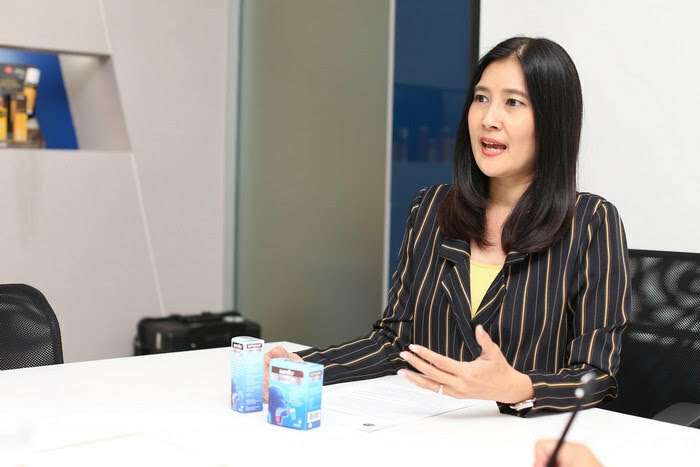 Currently, the total business value is 352 million baht with the accumulated growth of 17% in the last 3 years. To seize this expanding opportunity, the company recently launched BETADINE® THROAT SPRAY for oral and throat inflammation, and BETADINE® GARGLE, for gargling and mouthwash with the anti-microbial property that can cure sore throat as its main selling point. 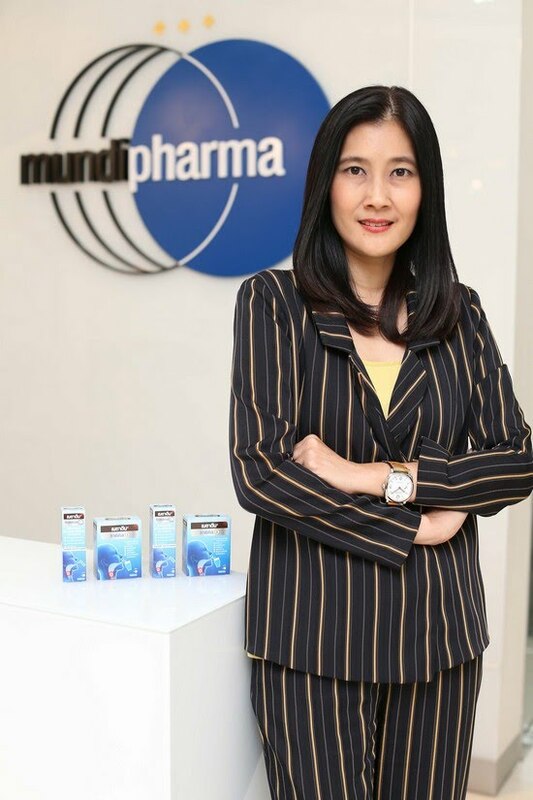 To create brand awareness and ensure effective communication in every channel, Mundipharma (Thailand) allocates 70 baht for the marketing budget, which will be spent on above the line and below the line platforms, whether via TV channel or digital media. 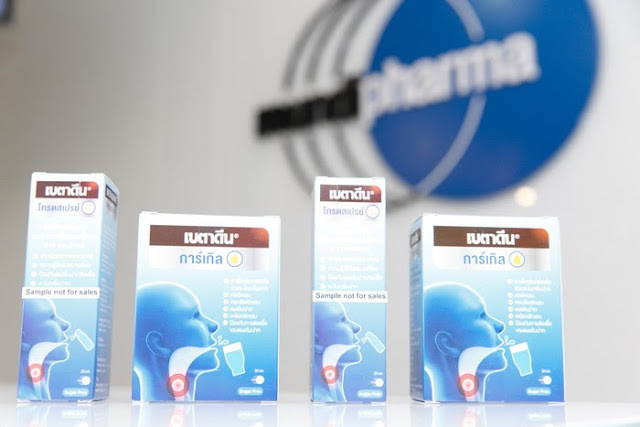 In addition, the company will provide knowledge on sore throats and treatment approaches to pharmacists and pharmacist assistants working in pharmacies so that they have a guideline for introducing throat care products to patients who seek consultation. The sugar-free BETADINE® THROAT SPRAY and the sugar-free BETADINE® GARGLE are differentiated by the main active ingredient “Povidone Iodine.” This antiseptic with anti-microbial property will relieve inflammation in the oral cavity and throat, prevent and heal infection of oral wounds and gingivitis, and stop bad breath. BETADINE® THROAT SPRAY comes in 2 sizes: 15 ml. for 155 baht and 25 ml. for 285 baht. BETADINE® GARGLE has only one size, which is 30 ml. for 160 baht. 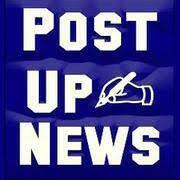 Both are available at hospitals and leading pharmacies. 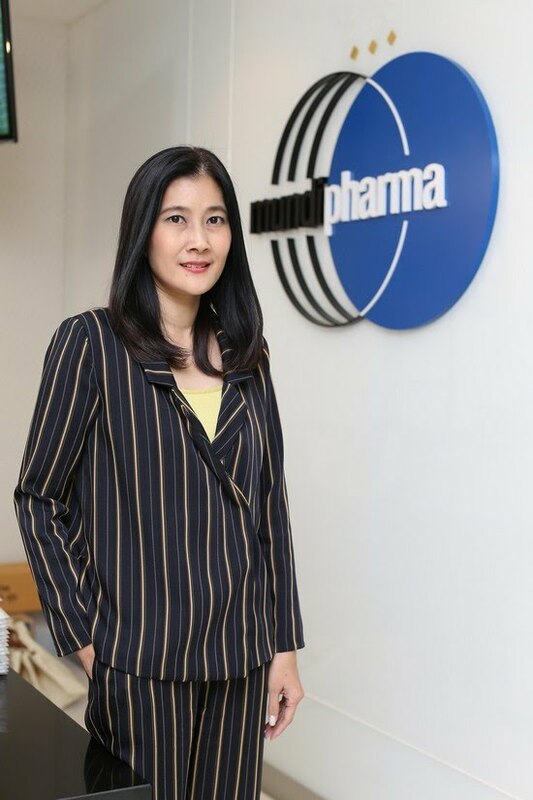 “The company expects that Betadine® Throat Spray and Betadine® Gargle, with the curative effect for throat and oral inflammation will achieve 20% market share in 2018,” added Mrs. Warawan.